The thrust of winter is sending one final blast across the prairies, but I’m thinking spring. The garden awaits under mounds of snow; the deep rich soil is prepared for another season of bearing fruit and vegetables. Gardening may be one of my joys in life, but I have been called to more than what my hands can produce. 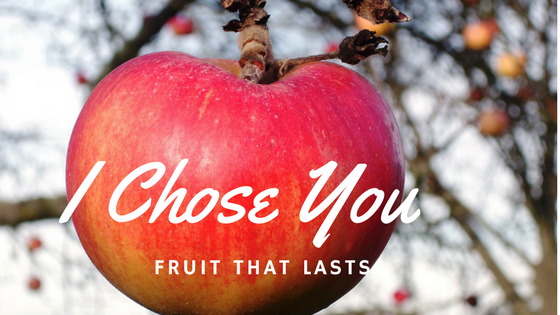 There is only one kind of fruit that truly lasts – what we do for God! When we moved into town, I decided to try an espalier experiment with an apple tree. It sounded like a reasonable solution in a small yard and my personal repulsion to ladder climbing. I bought a young whip, planted it in a secluded corner, and began aggressively pruning. At times, I was concerned whether the little tree would survive the drastic cutting and shaping process. Any branches that were reaching toward the back were cut; as were the branches pointing forward. Only those reaching outward to the left and right were allowed to remain. Only the stoutest branches, those equally spaced 10″ – 12″ apart up the main trunk, were left. This would allow sufficient air flow between the limbs and provide full support to each branch by the trellis. Year by year the little whip began to take shape. Not the shape of a “normal” apple tree with bows spreading upward forming a rounded canopy. Rather the shape of the trellis upon which the branches were fastened. Every blossom was removed those first few years, so the tree would gain strength. My vision were set for the future. Just like with my little tree, my Father is only leaving me with the “branches” of my life that are willing to stretch outward, to the left and right, toward others. Branches that are pointing too far ahead, toward the future, won’t receive the support needed to bear the weight of a heavy harvest. Those branches that are pointing behind, anchored in the past lacking the present light of Christ, will be susceptible to “disease”of grumbling and complaining. My fruit bearing ability will not be secure in either the past successes and failures or of the future dreaming. To bear fruit that will last, I need to trust the Gardener to know what needs to go and what should remain. He is shaping me for future increase! My little tree has a natural inclination to grow full and lush, spewing branches at liberty. Though more beautiful perhaps, it is not the way of fruitfulness. I don’t particularly like the pruning process. As a matter of fact, I quite detest it! One of the greatest challenges I face with my little tree is “suckers” that sprout up from the outfacing branches. Their wild quick growing nature saps the branch of precious nutrients. Worse yet, suckers aren’t fruit bearers! Interestingly though, when these upward shoots are pruned off a few inches from the main branch, the remaining stub will be the source of much fruit in the years ahead. Fruit bearing branches must be “connected” to the vine, the main trunk! It isn’t enough to be connected to another branch! My main connection must always be with God. When I attempt to sprout out from another man’s ministry, rather than from God Himself, the result may appear healthy at first, but it will be unsustainable. Am I thoroughly connected? And where? Though appreciative of their input, my sustaining strength comes from only One Source, the Vine Jesus Christ. To be a fruit bearer, I MUST be connected directly to Him. The second greatest problem that requires pruning are the “clusters”. I’ve never been able to walk by an apple tree in bloom – never! I must stop to breath in the aroma of the fragrant clusters of blossoms, watch the busy activity of pollinating bees, and let my eyes feast on the intricate God design of each blossom. The Gardener knows that each blossom will not produce fruit. In fact, each blossom should not produce fruit! The branch can neither nurture nor bear the weight of that much fruit. So the Gardener sets to work, pruning even the fruit bearing branches. This is the most difficult pruning for me to do in my garden. I want to see “abundance”, but wisdom tells me to trim, cut, and prune until only the choice fruit remains. Clustered fruit will never grow to full potential. To ensure the quality of the remaining fruit, I must prune harder. Humanly speaking, clusters are comfortable. Clusters are safe. We like to cluster! Denominational clusters, team clusters, recreational clusters, clusters here and clusters there! People naturally like to congregate in groups. Clusters are good places to begin our faith journey. If staying in tight little clusters matters more than reaching out, we will never mature to be true fruit bearers. To touch the lives of those in our world, there must be a willingness to leave our comfort zones and stretch outward in love and care. As hard as pruning is, harvest will prove its worth! As I walk around my little community, I notice apple trees flourishing in abundance. Each fall, large boughs bend earthward laden with enormous amounts of fruit. The appearance of fruitfulness is everywhere. Harvest time demonstrates the true benefits of pruning. Every apple on my little tree is weighty, plump and full. Every cut I made with the shears was for the purpose of maximum harvest. Now it is payback time! While others are picking, peeling and processing buckets of undersized produce, only those willing to prune enjoy over-sized rich fruit. The same will be in my life! The Gardener knows! He has a plan! God has chosen each one of us. He has called us out and appointed us to produce – to produce in abundance and to produce fruit that is eternal. The Gardener isn’t looking for standard garden variety outcomes. He is working in us and through us to prepare supernatural fruitfulness. Knowing His plan allows us to endure the painful pruning seasons with grace and hope. We may feel naked and exposed during these “harsh” pruning times. Truthfully, God’s loving hand of wisdom and perfection is in every touch. He is looking to the harvest; it is coming soon! I love this–your espalier illustration is perfect! Thank you, Maryann! God often uses the simple and practical things of life, especially in nature, to teach me more about Himself. He is such a wonderful teacher! I LOVED reading this Maryann. I realize that as things get cut away/pruned, there can be a little pain involved – intentions we had for that branch or twig. Do we surrender to the Master Gardener? Keep writing and sharing. It’s really rich.